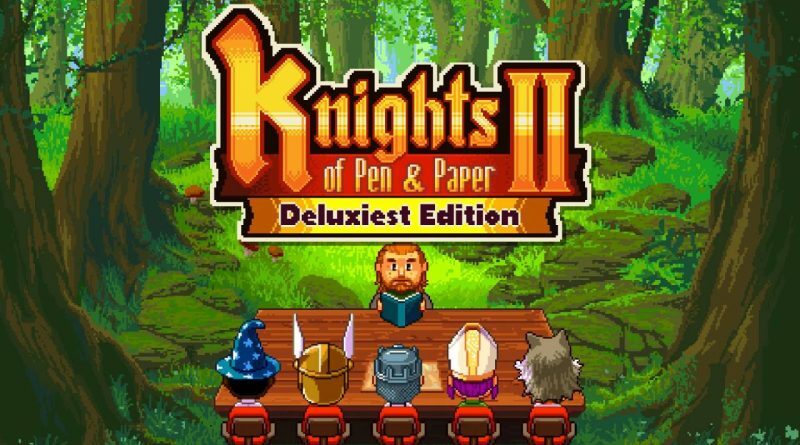 Seaven Studio today announced that Knights of Pen & Paper 2 – Deluxiest Edition will release on Nintendo Switch on December 13, 2018. Pre-orders are available today on the Nintendo eShop for $12.99. Owners of Knights of Pen and Paper #1 Deluxier Edition will get a 20% discount. Also starting today, a Knights of Pen and Paper Bundle with both Knights of Pen and Paper games is available for pre-order priced at $22.49 that will release at the same time. With the bundle, players will save 20% compared to buying both games separately. Knights of Pen & Paper 2 – Deluxiest Edition is a turn-based, retro style, pixel-art adventure full of danger, intrigue, and semi-appropriate cultural references. Prepare to inhabit a world of chivalry, class warfare and off-beat pop references in the sequel for the successful and award winning game Knights of Pen & Paper!